While we’ve been hearing rumors that Lorde has been hiding up in a forest recording the follow up to her critically acclaimed debut album Pure Heroine, it seems that the 19-year-old might be closer to civilization than we thought. How do we know this? 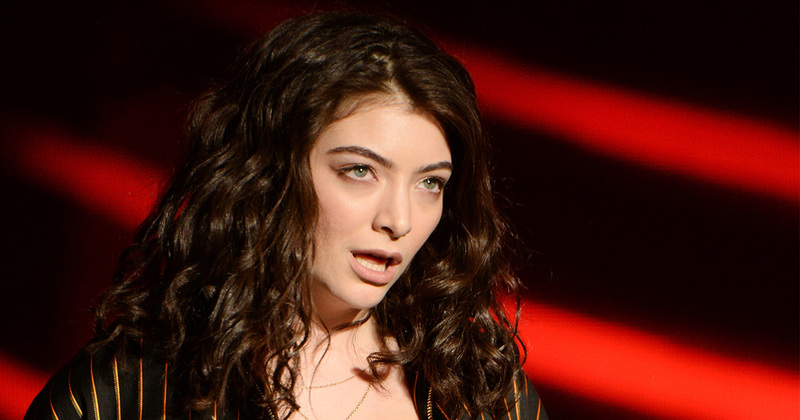 Because Lorde had a hilarious Uber journey. Now don’t get us wrong, we love Uber. It’s super convenient and has definitely gotten us out of a few tricky situations where we just really needed to get a cab home. In fact, one of the best things about Uber are the drivers, who come from all walks of life. We once had an amazing Uber driver who told us about how much she loved Tom Hardy (it was a mutual feeling). Anyways, Lorde was getting into her Uber. Obviously, being a famous singer, you *might* expect someone to recognize you. That’s not a big headed thing, it’s just a fact of life. However, this Uber driver was having none of it. In fact, he was distracted by his previous passenger who had also been famous. Lorde being Lorde decided to share the whole experience on Twitter. People started responding, including Ellie Goudling, who had her own amazing Uber story. Someone even made some fan art out of the whole situation!